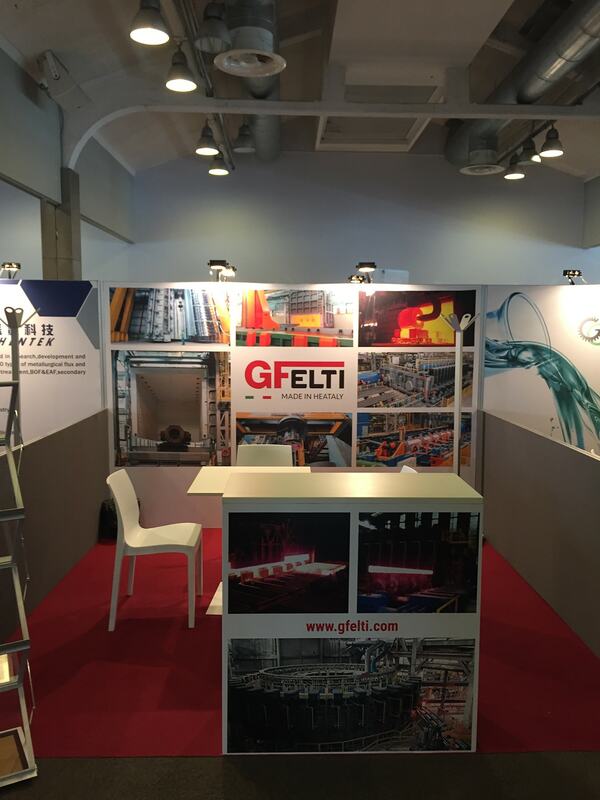 International Congress on Steelmaking - Venezia | GF ELTI S.r.l. This year GF ELTI was part of the 7th International Congress on Science and Technology of Steelmaking (ICS 2018) and the XXVI National Conference on Heat Treatment. The three-day-event coordinated by AIM, the Italian Association for Metallurgy, in Venice (ITA) gathered technicians and fellow university researchers coming from all over the world. The designed forum for discussing the development of steelmaking techniques and Heat Treatments practices was the prestigious NH Hotel Venezia Laguna Palace. GF ELTI was main Sponsor of the Conferences that began on Tuesday 13 June, and ended on Friday 15. This event was a great opportunity for GF ELTI to meet customers, suppliers as well as new international partners. Throughout the days, 50+ industries got in touch with the GF ELTI team. These numbers highlight the key role of GF-ELTI when it comes to Rolling Mills, Forging and Heat Treating Plants for the Steel Industry.